You are here: Home / Blog / Industry News / Which Boiler Brand Wins in 2019? Which Boiler Brand Wins in 2019? It’s that time of the year again when Which? consumer association releases the updated boiler review. 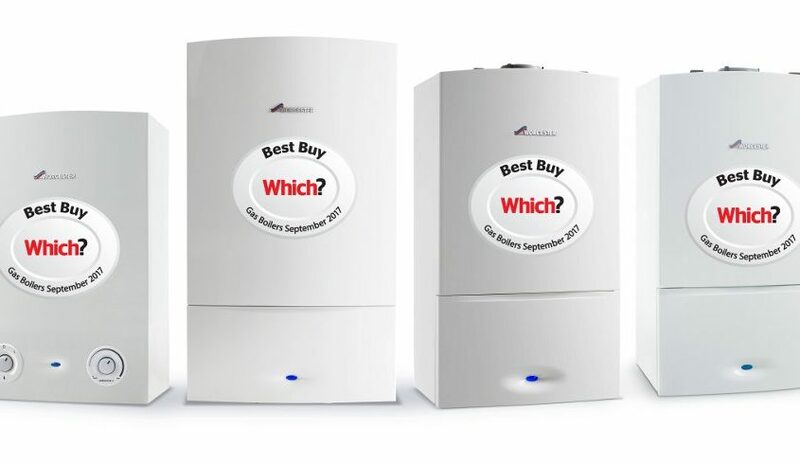 So if you’re wondering which boiler is better for you in 2019, you’ve come to the right place as we attempt to summarise the Which Best Buy Boiler report to point out the important bits. Which begin their report by an interesting factoid – according to statistics, our “relationship” with a boiler usually lasts longer than the average marriage – 16.5 years versus 11.9 years. Since we’re stuck with with a boiler for such a long time, you will want to make sure you make the right choice because undoing a bad one is very expensive. The Best boiler 2019 review is compiled from two different surveys – a narrow-niche professional survey involving professional boiler installers and a wider consumer survey. Which? had gathered information pertaining to boiler brand reliability, build quality, ease of servicing and other important factors. They end up with a Brand Score metric spanning from 0 to 100%. The main 3 UK boiler brands – Worcester Bosch, Viessmann and Vaillant all hit it within the 80% bracket. WB scoring 86%, Viessmann 83% and Vaillant at 80%. In our opinion, the Brand Score is not necessarily a comprehensive metric because it partly consists of consumer’s comprehension of a brand’s value which is subjective. Clearly, Worcester Bosch is the best-known boiler brand in the UK and other manufacturers will struggle reaching their level of brand recognition. How is Best Buy Score Created? For us, the main nugget of information is within the Build Quality and Engineer Recommendation columns. This insight comes from heating engineers who work with these boiler brands on daily basis and have gained substantial amount of inside knowledge during the years. Incidentally, all 3 top-scorers have received 5 stars for build quality and overall recommendation. In our opinion, although there are whole 6 percentage points between Worcester Bosch and Vaillant, you can choose Vaillant, save money and still end up with a top-quality boiler. Having said that, the majority of the boilers we install are Worcester Bosch, however, we are happy to recommend either – WB or Vaillant. If we look beyond the Top 3, there’s quite a big gap emerging. Ideal and Baxi scoring 69% and 54% respectively. Engineers have remarked that it’s not easy to fix faults in these boilers, however, Ideal has done a lot of work to improve the situation as they’ve climbed the rankings compared to the Which Boiler Review 2018. There are no surprises at the bottom of the heap. Ferroli has scored just 35% and it doesn’t seem like they are in control of the situation. Engineers have apparently lost all faith as Ferroli boilers keep suffering from poor build quality and cumbersome maintenance process. Another consideration is how much a new boiler deteriorates during its first 7 years of operation. Fortunately, Which Best Buy Boiler review answers that question. Also, these findings reinforce the information that was displayed in the table – 90% of boilers manufactured by the Top 3 brands maintain fault-free operation during the first 4 years and 70% or more of the boilers are still fault-free after 7 years of operation. In comparison, Ferroli “roadworthiness” dips below 90% during the 2nd year of operation and swiftly deteriorates to 40% by year 7. How do You Know if Which Reviews are Reliable? The Which is one of the oldest consumer associations in the world. They were established in 1957 to test consumer products and provide unbiased 3rd party reviews. The annual boiler research is based on a survey from 12,000+ participants. You may argue that there is a strong bias towards relying upon non-professional opinion from consumers, however, it is the consumers who bear the brunt of faulty boilers, especially during the winter. Asking consumers directly, is after all a good idea because you get unbiased feedback, especially if you query a large enough nuber of people. Backing up the end-user reviews is randomly selected 166 heating engineer reviews. They are able to share opinion from a different angle, mainly concentrating on the technical aspects, build quality and ease of repairs. In fact, during the last few decades they’ve built up their power to a lever where they’re even lobbying MPs and Peers on national and international consumer issues. They have directly or indirectly contributed to many improvements in consumer rights and product quality. This was a short recap of the Which Best Buy boiler review 2019. In our opinion, it’s safe to choose any of the Top 3 manufacturers as they’re all reliable and good value for money, however, we are able to offer an extended 12-year warranty on Worcester Bosch and Vaillant so it makes sense to stick with one of the two brands. If you’d like to find out how much it would cost to replace a boiler in your property, fill out the boiler quote below. It only takes 30 seconds. https://www.glowgreenltd.com/wp-content/uploads/2015/03/worcester-boilers-landscape.jpg 491 1000 Glow Green https://www.glowgreenltd.com/wp-content/uploads/2016/06/logo.png Glow Green2019-03-20 13:02:472019-03-22 17:16:52Which Boiler Brand Wins in 2019?